Construction Kit Antares with fiberglass hull and laser cut wood parts as well as fitting parts. 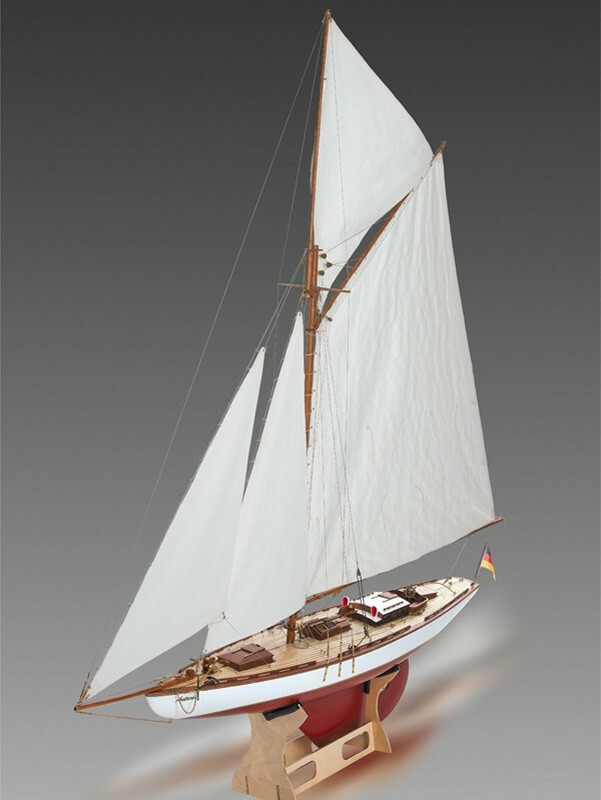 Additional accessories such as the Fittings Set (Takelsatz) and sails are required to complete the package. The Antares is a cutter-rigged racing and touring yacht in the typical style of the 1920s with excellent sailing characteristics - even with stronger wind. Manfred Kaiser-Pletscher, MKP modelling, developed this model. The aim was to provide a model of this class with modern manufacturing methods for the advanced beginner. 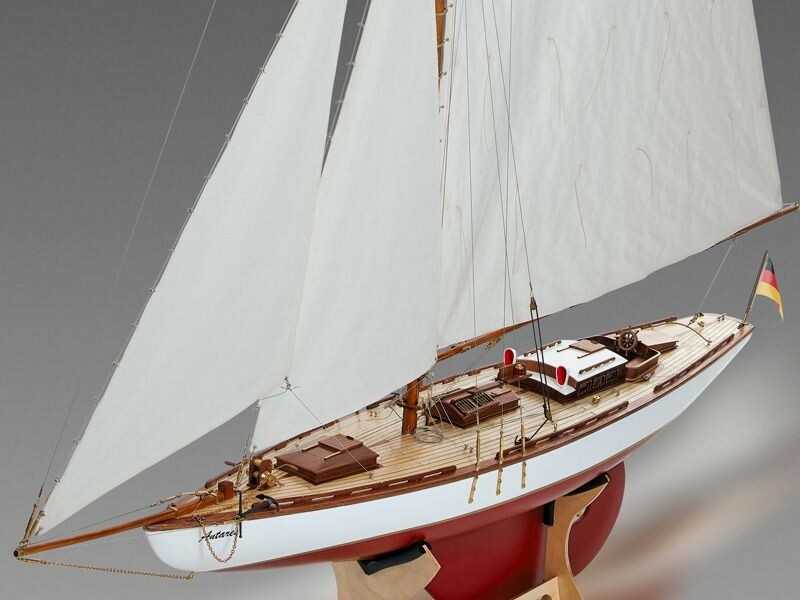 Exemplary appearance also in detail, laser-cut wooden deck and constructions in mahogany make the Antares a special model for lovers of classic yachts. 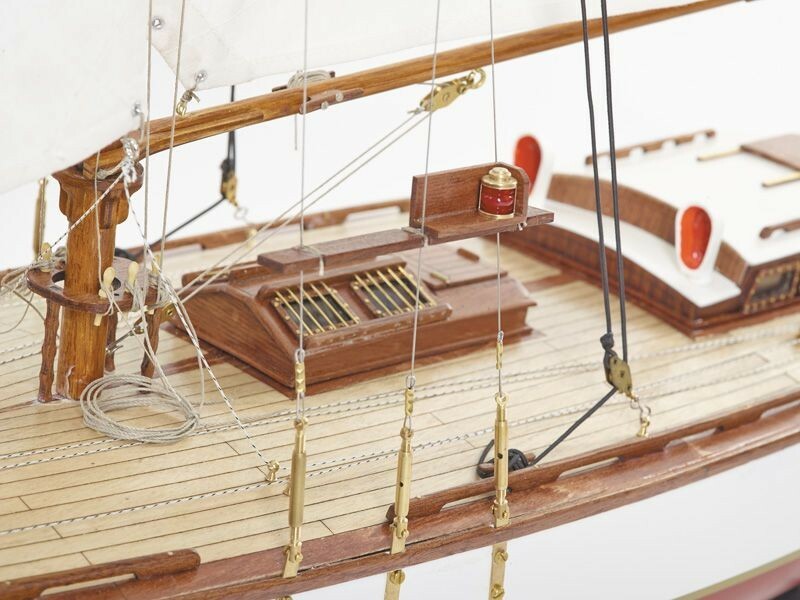 The model is certainly not a mass product; Although a finished epoxy hull is included in the kit and all the wooden parts for the deck and the superstructures are also available as laser components and the construction is fast and straightforward. The deck is completed as a separate supporting assembly completely outside the hull and only then glued into the fuselage as a whole. All materials required for construction are included. 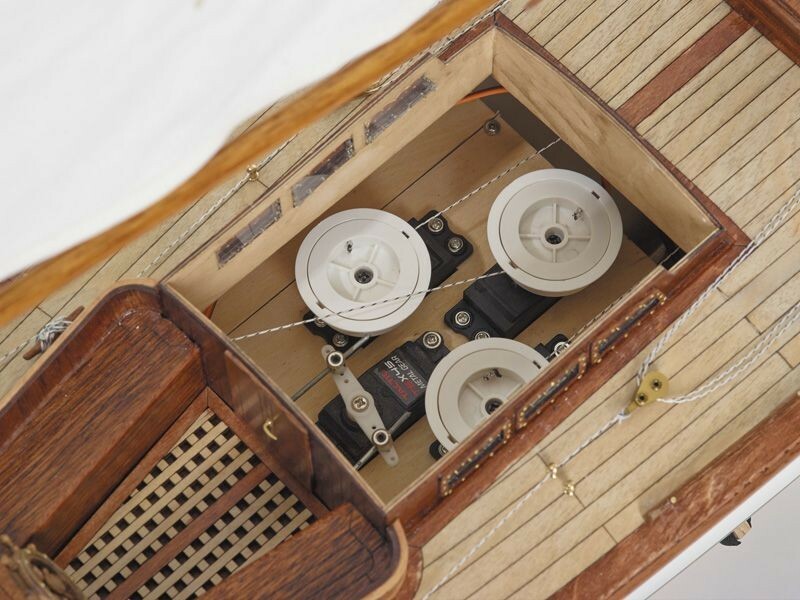 Only the fitting parts for rigging the mast, such as brass blocks, turnbuckle, stainless steel cable, and linen are in the extra supplied Fittings Set (Takelsatz KR20371), which is only needed later. 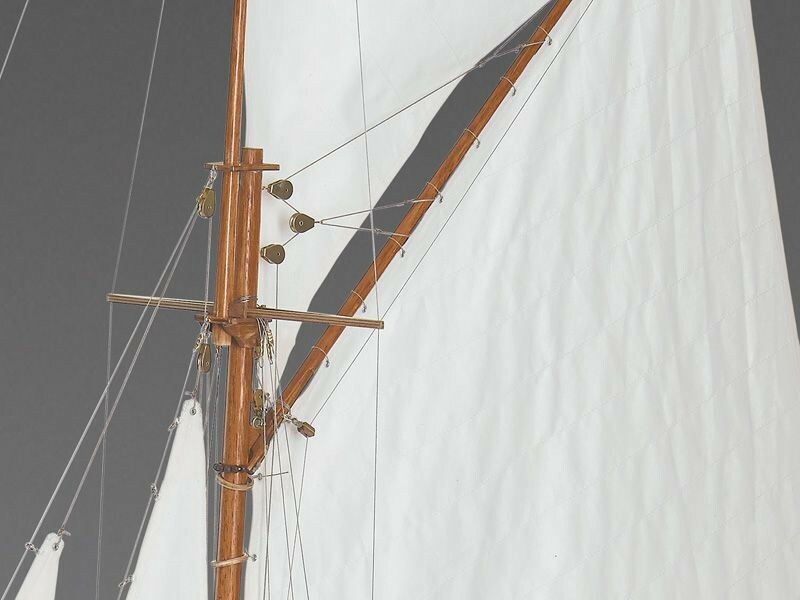 Full scale drawings are included for the sails, so you can either sew fabric for yourself or purchase a finished sail (KR61915). 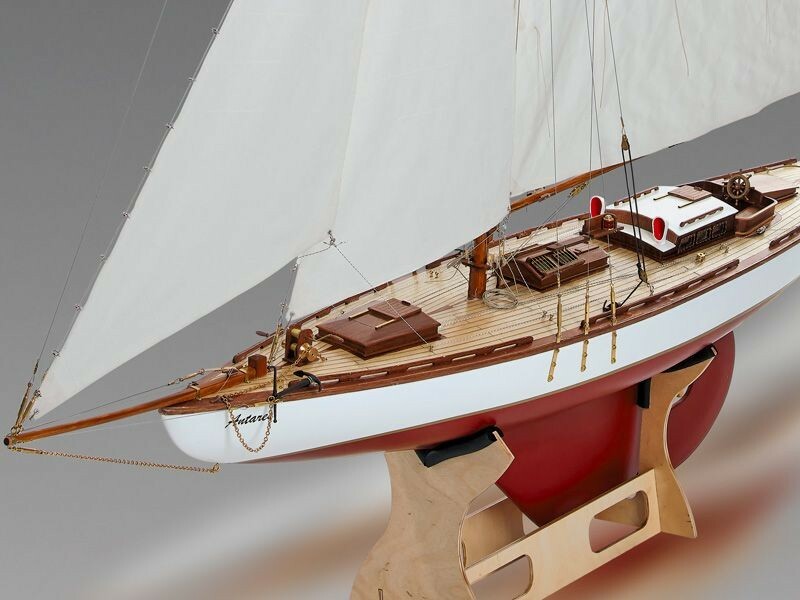 The detailed building instructions, in which each stage of construction is shown in pictures, and also the detailed example of the control of the two sails are described, and a detailed blueprint makes it possible for the non-expert to build the model without any problems. Designed for RC operation, but RC components are not included.